In November of 1943, an elite team of Nazi paratroopers descends on British soil with a diabolical goal: to abduct Winston Churchill and cripple the Allied war effort. The mission, ordered by Hitler himself and planned by Heinrich Himmler, is led by ace agent Kurt Steiner and aided on the ground by IRA gunman Liam Devlin. As the deadly duo executes Hitler’s harrowing plot, only the quiet town of Studley Constable stands in their way. Its residents are the lone souls aware of the impending Nazi plan, and they must become the most unlikely of heroes as the fate of the war hangs in the balance. 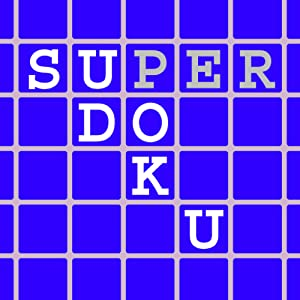 Sudoku SuperDoKu 1.0 is a game for your Kindle Fire which you can obtain for free today only. If laws were written to discourage apps from taking steroids, SuperDoKu would definitely be in trouble. In this case, proprietary algorithms created by the developers of Sudoku SuperDoKu act as steroids, generating infinite numbers of puzzles, ensuring you’ll never run out of new puzzles to solve. Have you ever been half-way through a Sudoku puzzle only to be interrupted with a phone call or with the need to launch another app on your smartphone? Well, with the unique auto-save feature of Sudoku SuperDoKu, you’ll never again have to worry about losing your game progress. Simply relaunch Sudoku SuperDoKu, and you’ll pick up right where you left off. Whether you’re an expert Sudokuict or a beginner, there’s a puzzle for you. For seasoned players, the standard puzzle comes in easy, medium, and hard flavors. Beginners and children can play the mini-Sudoku (2×2, 2×3, or 3×2) puzzles. Stuck on a hard puzzle? Maybe you’re too tired to think but still want to play? Try the on-demand “Hint” feature for a hint or to find incorrectly marked cells. Or use the special “Crib” feature using pencil-markings to hone your playing skills. Tapping an empty cell multiple times narrows possible values. Or sit back and ask Sudoku SuperDoKu to solve the puzzle for you, and enjoy a step-by-step animation that even reveals dead-ends! You can also stop the animation by tapping any cell or function key to resume gameplay. And the “Undo” animation feature complements the “Solve” feature with soothing music media. 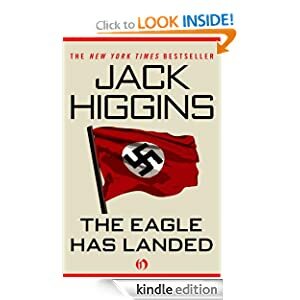 This entry was posted in Kindle Applications, Kindle Apps, Kindle Books, Kindle Daily Deal and tagged Jack Higgins, Liam Devlin, Sudoku SuperDoKu, The Eagle Has Landed by Paul. Bookmark the permalink.